Published Aug 1, 2014 by Peachpit Press. 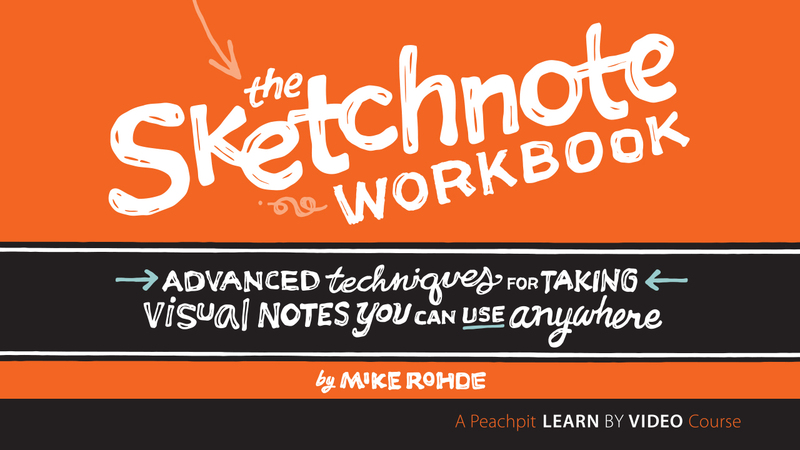 The Sketchnote Handbook author Mike Rohde is back with even more tips and techniques for taking visual notes, whether at work, at school, at home, on a bus, or in the coffee shop down the street. In this video, Mike takes you out of the conference room and shows you new venues for using visual notetaking to capture all kinds of ideas, experiences, and memories that you’ll want to return to and share with others. But that doesn’t mean you’ll stop sketchnoting during meetings. For those viewers who mastered the basic sketchnoting techniques taught in The Sketchnote Handbook–but who still struggle to capture hard-to-visualize terms and concepts–Mike reveals advanced techniques and strategies to keep you drawing, no matter how tough the topic.